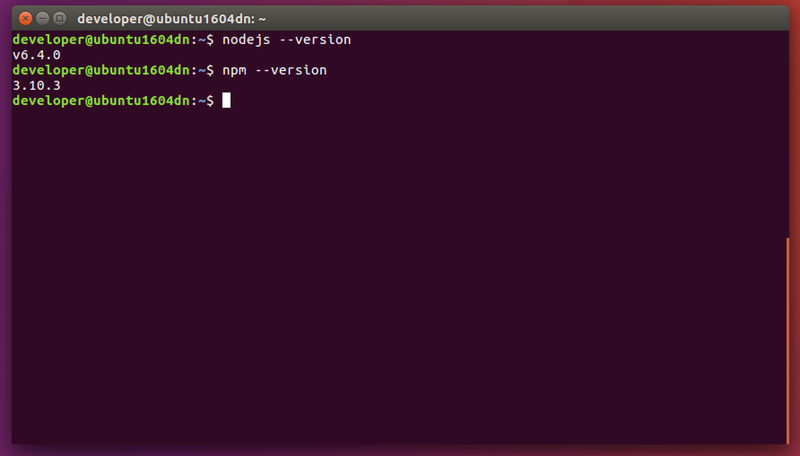 At the time of writing, the current versions of nodejs and npm from NodeSource are 6.4.0 and 3.10.3 respectively. 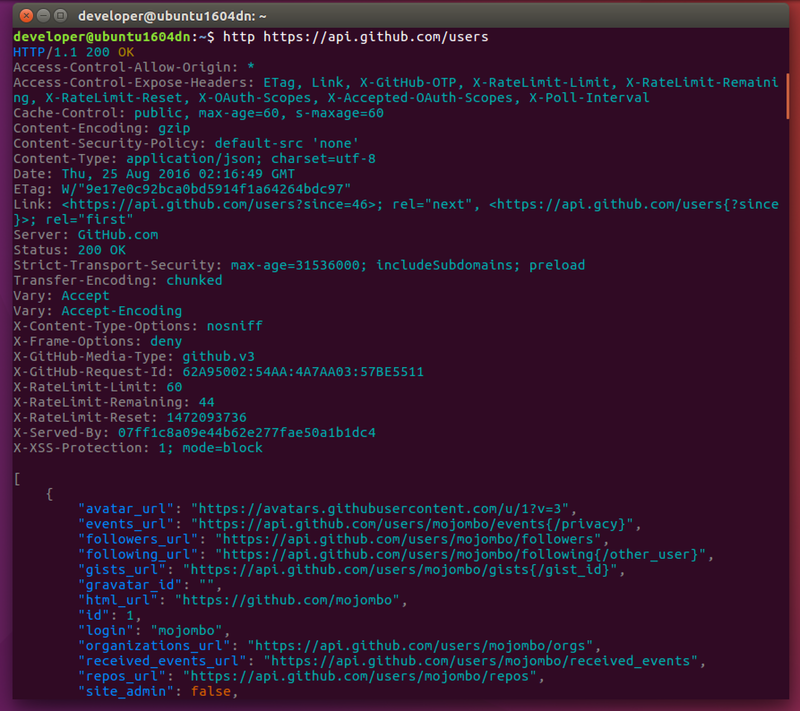 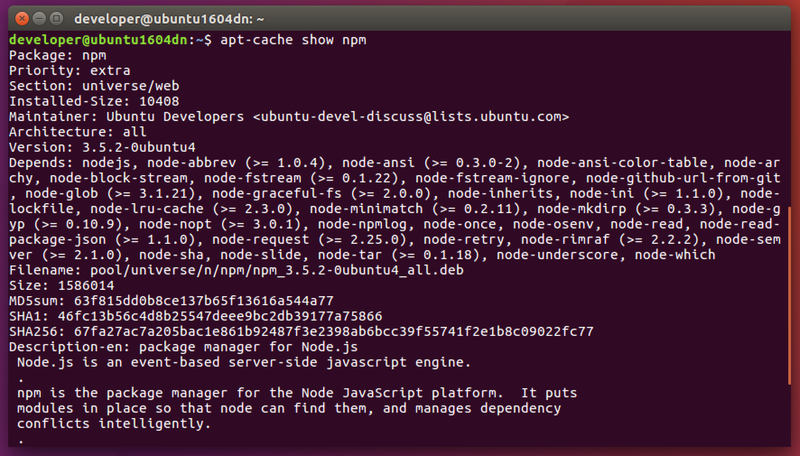 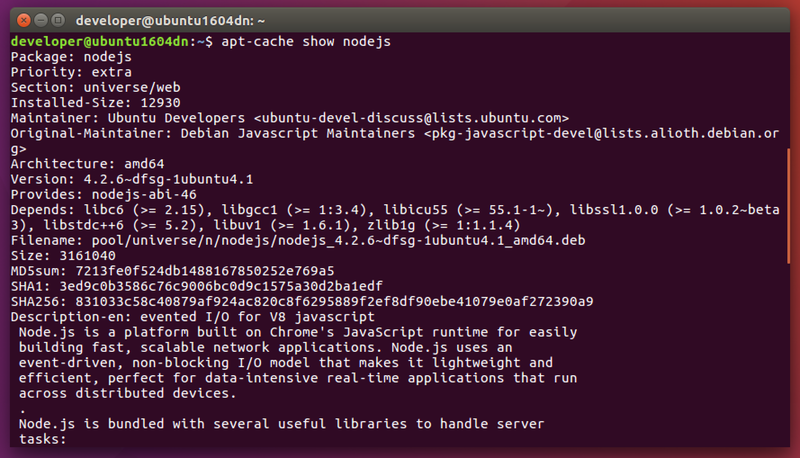 And this is all that you need to do to install the latest Node.js and NPM on Ubuntu Desktop. 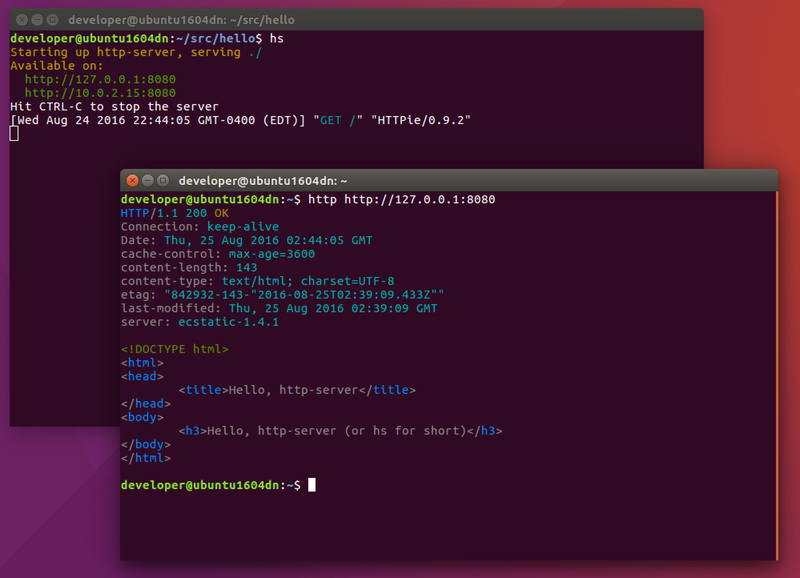 The two tools that I really like while developing web applications are HTTPie and http-server. 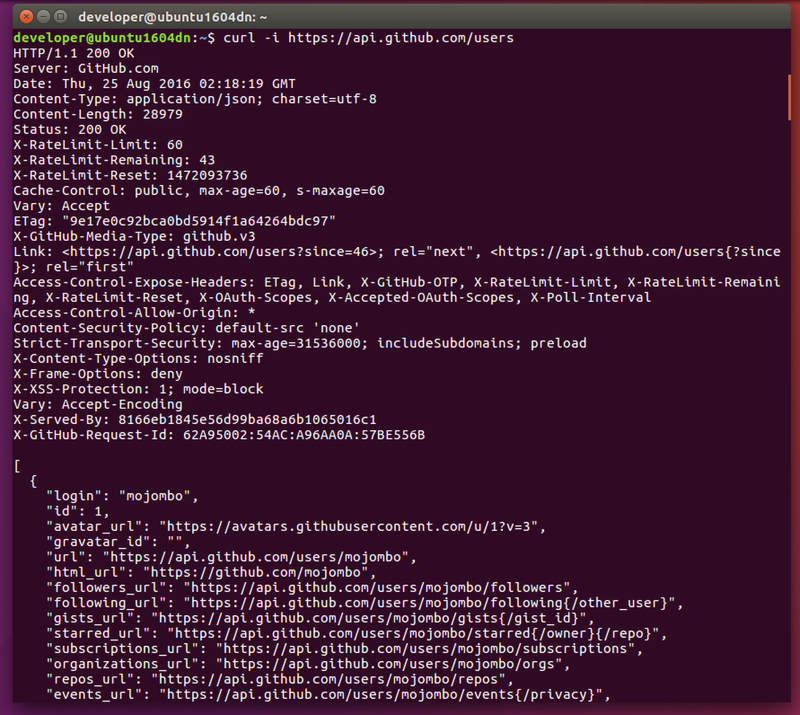 After that, you can see the difference in output between http and curl. 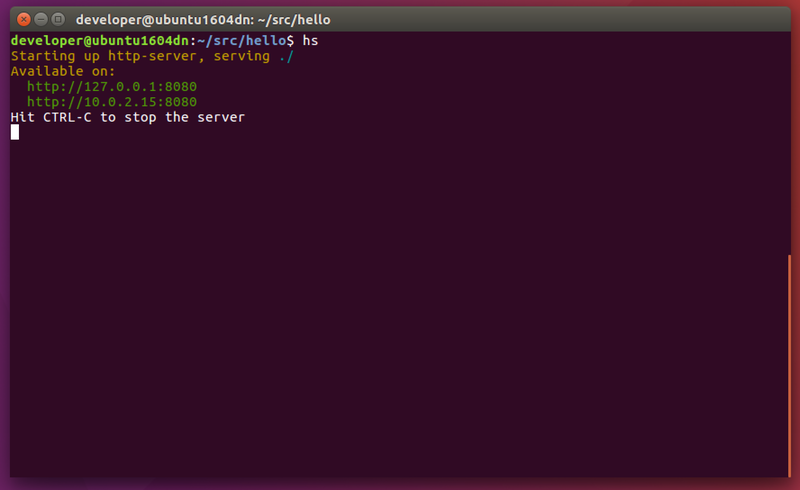 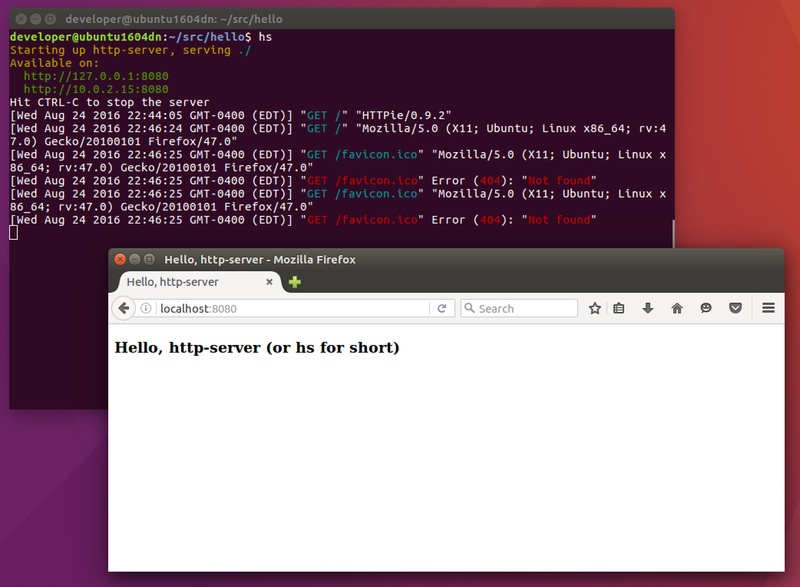 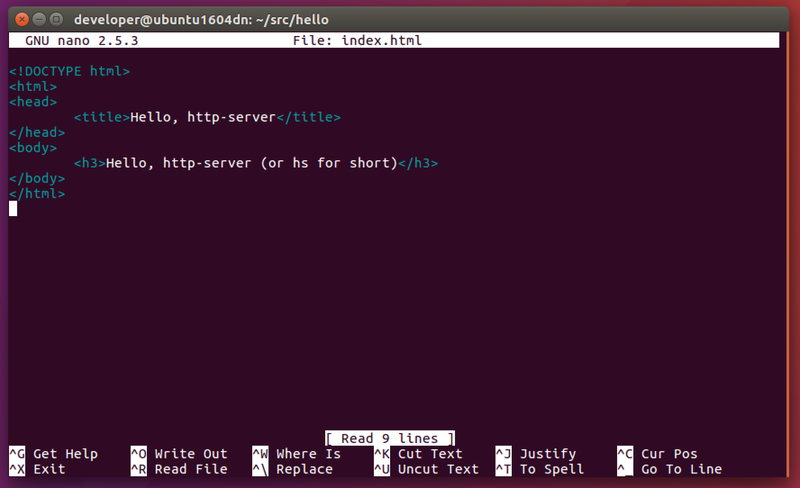 Then, suppose you have your web site in ~/src/hello directory, just type hs or http-server to start the HTTP server.